M. Louise Huber, 83, of Lancaster, passed away peacefully Friday, February 16, 2018 at The Courtyards of Brethren Village. Born in Manheim, she was the wife of the late R. Jere Huber. A graduate of East Hempfield High School, she was a homemaker and retired from John Wright Company in Wrightsville, PA with 15 years of service. 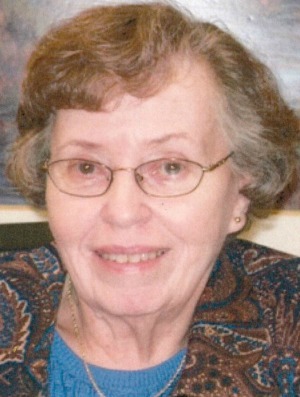 Louise was a charter member of Hempfield United Methodist Church where she served in the infant nursery for over 30 years, sang in the choir, and used her seamstress talents to make clothing for church mission projects. She enjoyed crafts, sewing, and flower arranging. She was a former Girl Scout leader. Surviving are her mother, Pearl R. Graybeal; two daughters: Kim (Steve) Sanner of Evans, GA and Karen (John) Devine of East Petersburg, PA; 5 grandchildren: Shawn Robinson, Ashley Robinson, Cole Devine, Elyssa (Tim) Gould, and Kayla Sanner; and 4 great-grandchildren. Also surviving are her brother Thomas (Carol) Graybeal of Carroll Plt, ME and sister Carol (Jim) Wilson of Millersville, PA. She was preceded in death by her father, Carl Graybeal and brother Harold (Nancy) Graybeal. A Memorial Service will be held in the Chapel at Brethren Village, 3001 Lititz Pike, Lititz, PA 17543 on Saturday, February 24, 2018 at 1:30 PM with Pastor Mark Tedford officiating. The family will receive friends at the Chapel from 12:30 until the time of the service. Interment will be at the convenience of the family. In lieu of flowers, contributions may be made to the Brethren Village Good Samaritan Fund or Hospice & Community Care, PO Box 4125 Lancaster, PA 17604-4215. Louise was a dear sweet lady. I met her in 1995 at Lancaster Bible College. She was displaying her beautiful hand made barrets next to my floral craft display. What a wonderful Christian woman she was. Later we met at the LGH Health Campus after not seeing each other for years but we remember each other and laughed and shared about our families. Please except my sympathy in the loss of your sweet smiling Mother. I am sorry for your loss of Louise. May you find comfort in God’s promise to reunite us with our dear loved ones that have fallen asleep in death. (Acts 24:15) As we await this promise, draw close to God in prayer and he will draw close to you, and give you the needed strength to carry you through the difficult days ahead. All the best wishes for your family at this time, take care.